Our goal is to offer delicious, natural, healthy products, saving you time and effort. 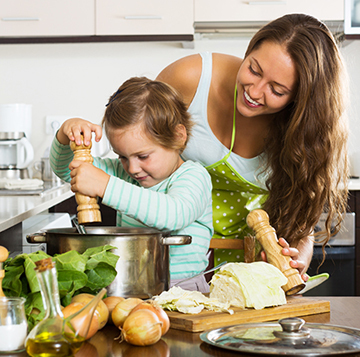 We prepare them with passion and care, just like you would for your family at home. Our passion for vegetables began more than 45 years ago. We began simply selling the best produce harvested from our land, and later, in the ancient culinary tradition of our surroundings, we began to prepare and cook this produce too. 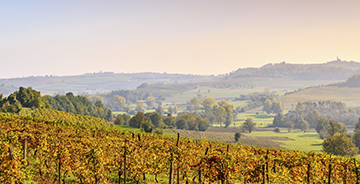 We owe much of what we are today to our local region, Monferrato: with valuable crops and famous gastronomy, this corner of Italy has taught us to combine the flavours of nature. What we do is very simple. We take freshly-picked vegetables, the best legumes and the richest cereals, and then we thoroughly wash and carefully chop and prepare the vegetables; just like you would at home: without adding preservatives and colourings. Only natural ingredients. Raw materials are what really make the difference. Indeed, we have always used only the best produce from our land, preparing it as soon as it has been harvested, in order to deliver incredibly fresh food straight to your table. We select Italian vegetables and prepare them using only extra virgin olive oil. The quality of the raw materials, a passione for tradition and a simple approach to preparation - these are the three pillars of our cooking. 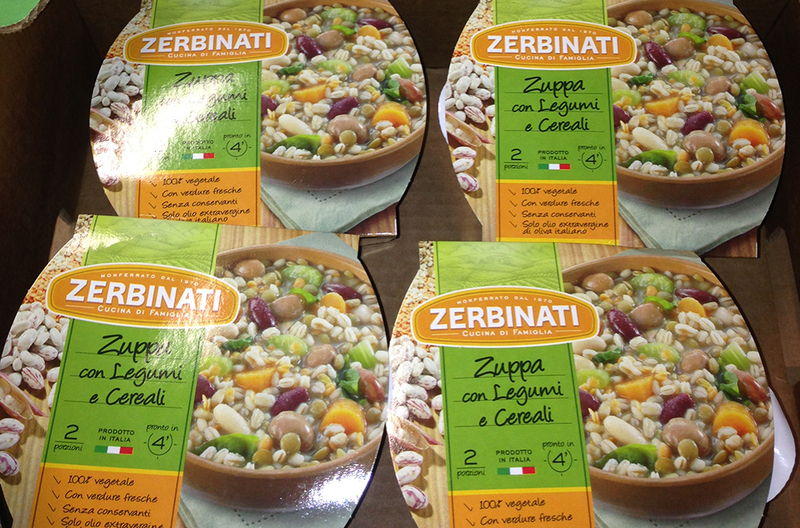 We are an Italian company, founded in 1970 by Ferdinando Zerbinati and managed by the Zerbinati family. Today, three generations of the family work in the company bringing a blend of experience and enthusiasm. We conserve and protect the best recipes and traditions, whilst developing new products and technologies in order to achieve even higher levels of quality. 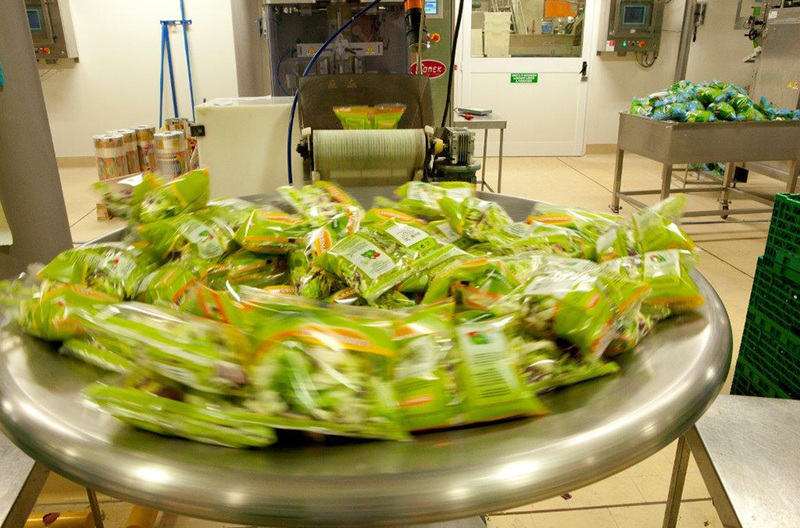 Today, we are among the market leaders in the production of fresh ready-to-eat vegetables (fresh-cut salads and vegetables) and of fresh ready-to-eat meals (soups, pureed soups, side dishes, Burger'Z and Flan'Z). We owe our success to our passion for good food and our unceasing quest for quality. In the kitchen, good food are the result of constant commitment and the knowledge gained through years of experience. The same works for our products. Behind them, there is a story that began more than 45 years ago, brimming with passion, dedication and the drive to improve day by day. Ferdinando Zerbinati, a fruit and vegetable trader with lots of experience and a host of sacrifices behind him, decides to go and ply his trade in some of the leading fruit and vegetable markets in Italy. Within a very short time, he builds his first depot in Borgo San Martino (AL), and begins to specialise in processing fresh vegetables. The main product in these early years - which remains famous to this day - is chopped, cooked fresh vegetables, packaged in a bowl container. Ferdinando's sons, Giorgio and Enrico work alongside their father. In 1988, they see an opening in the market for selling spinach, salad and cooked mixed vegetables in bags, all already cut, washed and dried. This enables them to expand, selling their products to supermarkets. 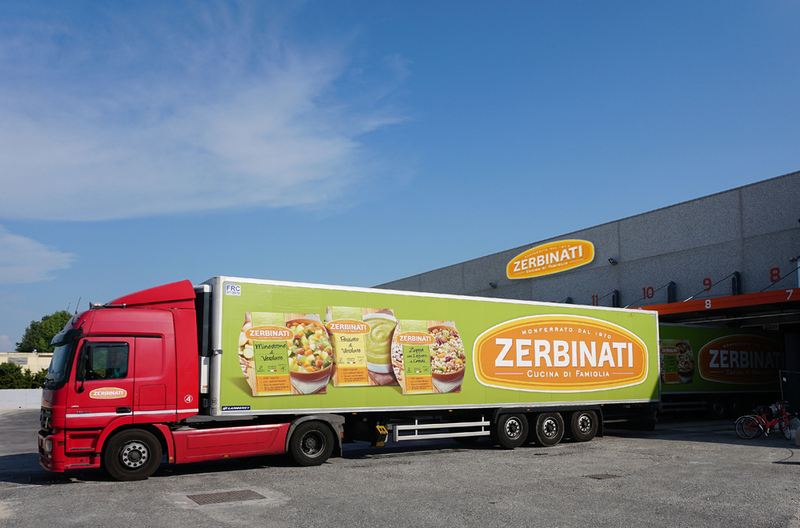 Towards the end of the 1990s, industrial production takes off at Zerbinati, with the company becoming the market leader in washed, cut, packaged and ready-to-eat fruit and vegetable products. The third generation of the family joins the company: Gianluca, Simone, and Valentina Zerbinati. The historic facility in Borgo San Martino is expanded. 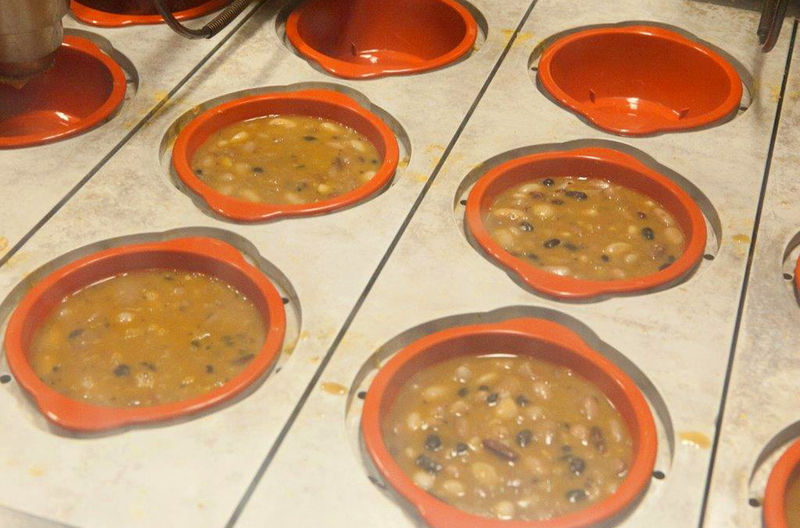 Here, in the same year, the company begins to develop soups, pureed soups and side dishes prepared with fresh vegetables. These represent an absolute novelty in this market. The ultra-modern plant at Casale Monferrato is inaugurated: a 21.000 sq. 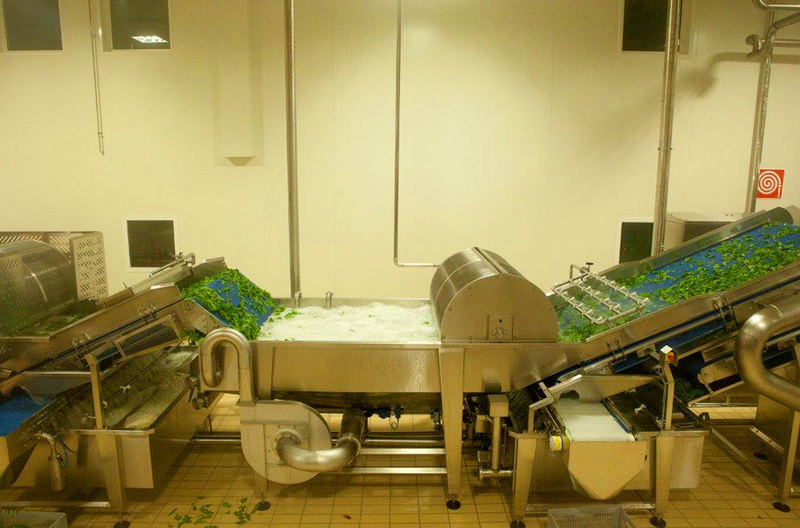 m production and sorting area for fresh-cut salads (ready-to-eat salads in bags), with state-of-the-art technology for cutting, selecting, drying and packaging all kinds of fresh vegetables. A year of launches and innovations; Burger'Z, a new range of products, is introduced. The first gluten-free vegetable burgers made from quinoa and fresh vegetables, cooked using only extra virgin olive oil, without soy, glutamate, preservatives or colourings. In 2016, a many other products have been launched: "Il Nostro Bio" range of organic soups, ready-to-eat Polenta with Gorgonzola cheese - the result of a collaboration with the company Igor S.r.l. - and Buon per Me, super-convenient salads in a bowl container, complete with dressing and fork. The new product launches do not end here, however - following a competition organised through social media, the Zuppe dal Mondo range takes shape: a host of recipes created to satisfy the growing interest in exotic ingredients. The company is still run by the same family, with each member - from Grandfather Ferdinando to his grandchildren - continuing to dedicate themselves to the pursuit of quality, interpreting new culinary trends. They are rewarded by their customers, who buy tens of millions of Zerbinati products every year. We have a thousand reasons to protect our environment. The first reason is because here we work. 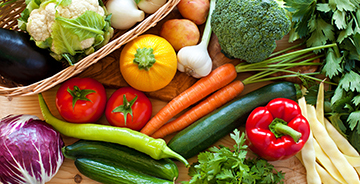 A healthy environment means vegetables that are even more delicious, as well as better health for you, for our employees and for us. We have equipped our production lines with water recirculation technology complete with a number of filtration systems, halving our consumption of this precious resource whilst maintaining the highest possible hygiene standards. Our model is based on the concept of sustainable development. We work to continuously improve the production process with an effective environmental management system, in order to comply with the laws in force and to ensure that we go above and beyond. From manual workers to managers - we are all dedicated to coming up with ideas for improving the production process in order to minimise the impact of our activities on the environment, with every stage of the process under constant review. As well as ensuring that everyone in the company is engaged, we also involve the suppliers and businesses that are part of our supply chain: Respect for the environment is achieved by ensuring that everyone makes their contribution. How do we safeguard our employees? Above all, through prevention: information and training are key to ensuring safety in the workplace. We also use personal protective equipment (PPE) and adhere to strict hygiene and behavioural procedures. In practice, this means reusing wherever we can. When we can not recycle waste, we compress it: this means it takes up less space, so that fewer vehicles and less fuel are required to take it away for disposal. The quality of our products is largely dependent on the raw materials we use. This is precisely why we work to guarantee the quality of our vegetables, legumes and cereals before they have even been grown, collaborating with our suppliers to ensure that only the very best produce arrives on your table. Our suppliers follow strict growing procedures (referred to as "disciplines") to ensure delicious, healthy and natural products. Our integrated production techniques are an example of this, and serve as a guarantee to everyone. With the assistance of our agronomists, we help our suppliers at all stages of the process, from planning to sowing and harvesting the vegetables and ingredients we use. Finally, quality controls are carried out in our production and transportation facilities..
Controls, controls and still controls. Some controls are made by external certification agencies, but many are carried out by us. In addition, we have a programme of controls and checks on the supply chain, enabling us to trace the path taken by the product to the customer and to verify each step of this process. In order to obtain a high quality product, each detail of every stage of the process is meticulously managed. Learn more with us. 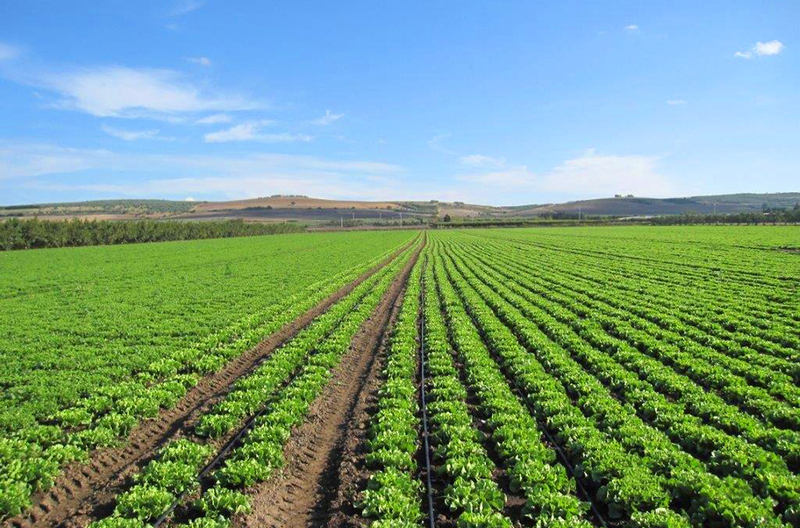 Our vegetables are harvested in Italian regions that are known for their excellence. 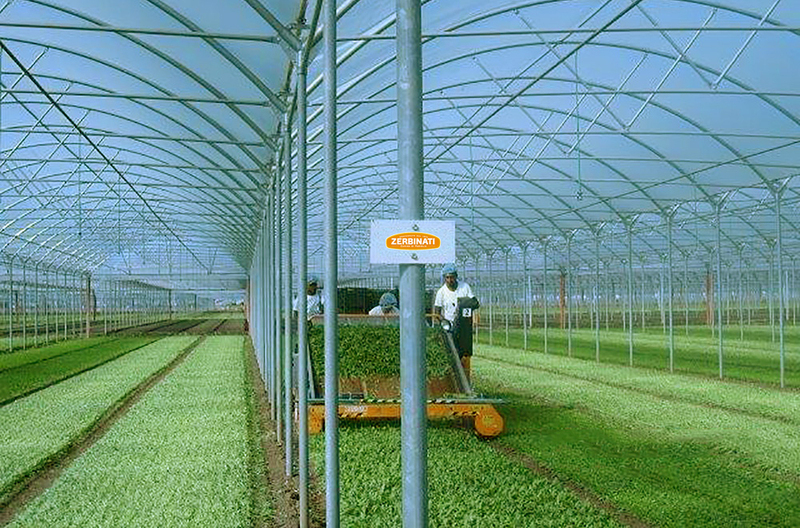 Sometimes, they are grown in greenhouses to ensure that we can provide fresh Italian products all year round. The vegetables arrive at our facilities within a maximum of 24 hours, transported directly from the fields in which they are grown in refrigerated vehicles. 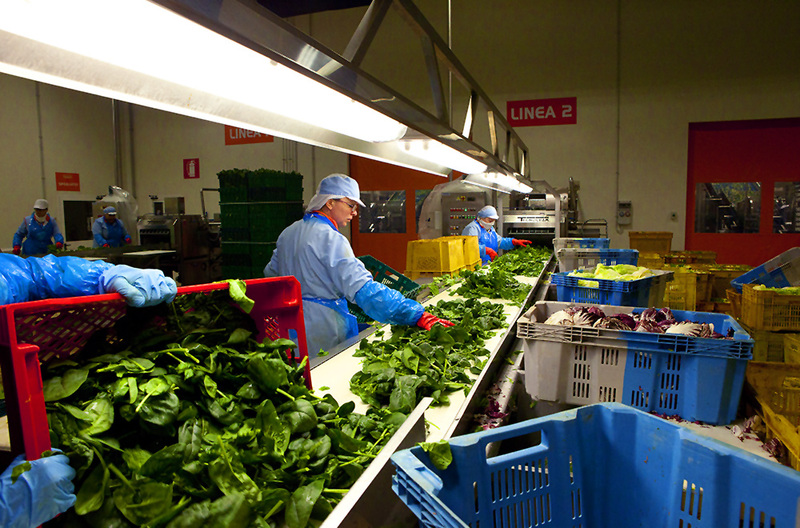 The vegetables are then unloaded and moved from the loading/unloading area to the heart of the plant. 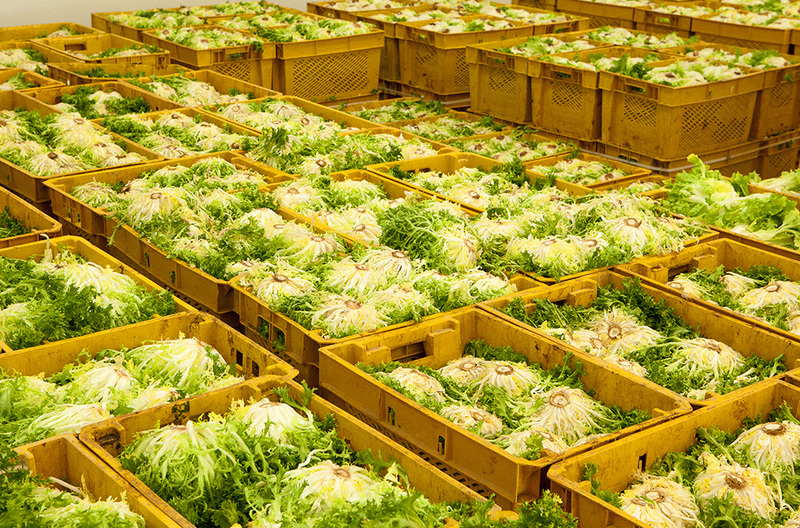 During the next stage, the vegetables are cleaned and peeled, and are then carefully checked, selected and sorted. Next, they are cut by a special machine and washed. The fourth range produce is then packaged. The soups, Burger’Z and Flan’Z, meanwhile, progress to the cooking phase. The containers are filled and sealed. Once packaged, the product is ready for delivery. The product is then loaded onto refrigerated vehicles to be distributed to the best supermarkets. 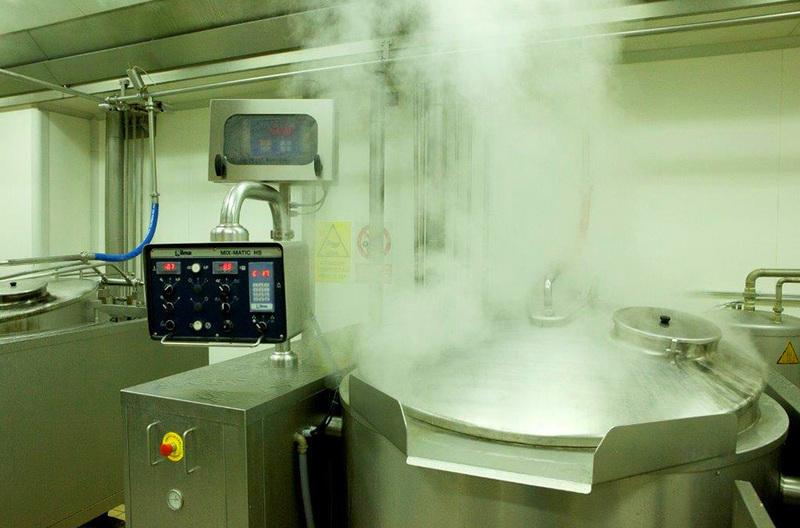 We have always taken the greatest care to use top quality raw materials in order to create healthy, natural products. Since 2007, our dedication and commitment has been recognised through the IFS certification, a certificate of conformance of our work according to strict health and hygiene standards, the BRC (British Retail Council) certification, which vouches for business strategies in the agri-food industry and establishes common principles for access to large-scale retail, and the BIO certification, which serves as a guarantee of the quality of organically-grown raw materials. You can contact our Customer Service team by filling out the form.